There are lots of Desmobot clients who prefer the finned base and improved cooling of the Mk.II Atomic Ray Gun, so here’s another raw dog drop but this time in the Mk.II variant. 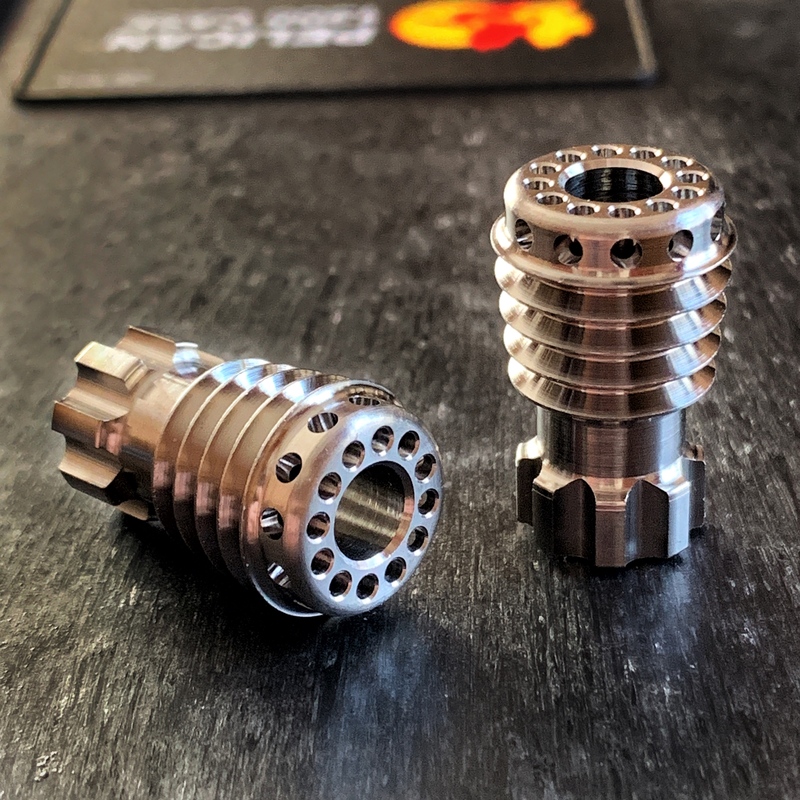 Whether you are someone who is a do-it-yourself’er, wants to have a bead custom finished by one of the many talented anodizer/customizers out there, or just prefers the shiny raw Titanium look, the Ray Gun beads in raw as-machined Ti have always been popular. Here’s a small drop of Mk.II Atomics in Raw Ti for folks looking for a little bling. These have a very nice as-machined finish with a bit of polishing at the end. Mk.II Atomic Ray Guns in raw, as-machined Titanium are $90 each, shipped to US addresses. US buyers can purchase using the PayPal “Buy Now” button below. Buyers outside the US can hit the PayPal button to purchase and then contact me for a USPS Priority shipping quote at mark@raygundivision.com – Typically this ends up being an additional $15-30 due to Priority International cost, depending on location. Please Note: Shipment outside the US via any method other than tracked Priority or Express is at the buyer’s risk.